Top Ten Things to do in and around London this May Half Term My sweet friend Cass Farrar at Kodomo.com nudged me to write up another top ten things to do in and around the British capital this summer. As I’ve been a little distracted recently back in my ‘real-life’ working on the Paul O’Grady Show for ITV, I thought it only fair that keep to my pledge to remind us all to leave the washing and making DIY granola to another day, and get out and about with our dearest. 1. Go Green at the Plantastic exhibition at The Horniman Museum It’s the world famous RHS Chelsea Flower Show in May, and for those in the know, Dan Pearson who won ‘Best Show Garden’ for his stunning Chatsworth Garden started his career in gardening when he was 5 years old, helping his Dad dig a pond. So let’s take inspiration from him, and visit the Plantastic exhibition at The Horniman Museum in Forest Hill. 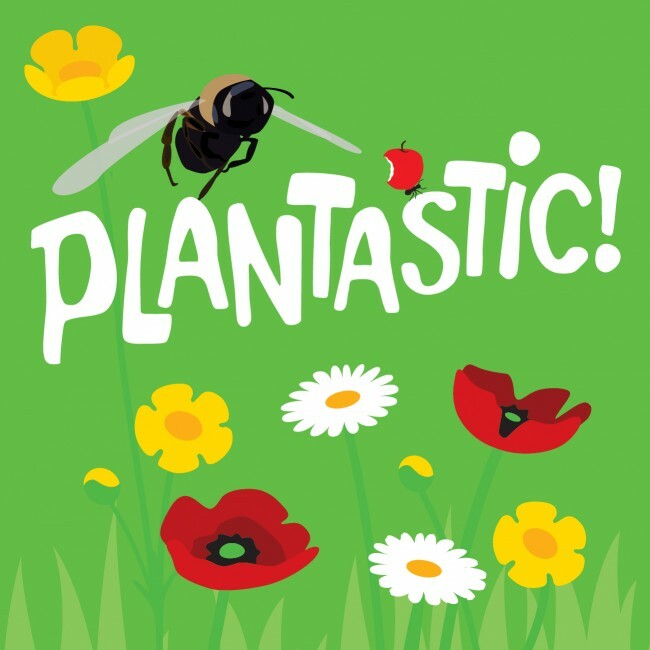 From May 2015, Plantastic will be accompanied by specially designed and themed outdoor displays including a mass planting of sunflowers, a floral picture of the ‘anatomy’ of a flower, and a border themed around plants that attract pollinating insects. Between 11-2.45pm daily in half term, join in the free craft Family Art Fun sessions too. A family ticket for the exhibition costs £16.50, so take a picnic and make a day of it. 2. 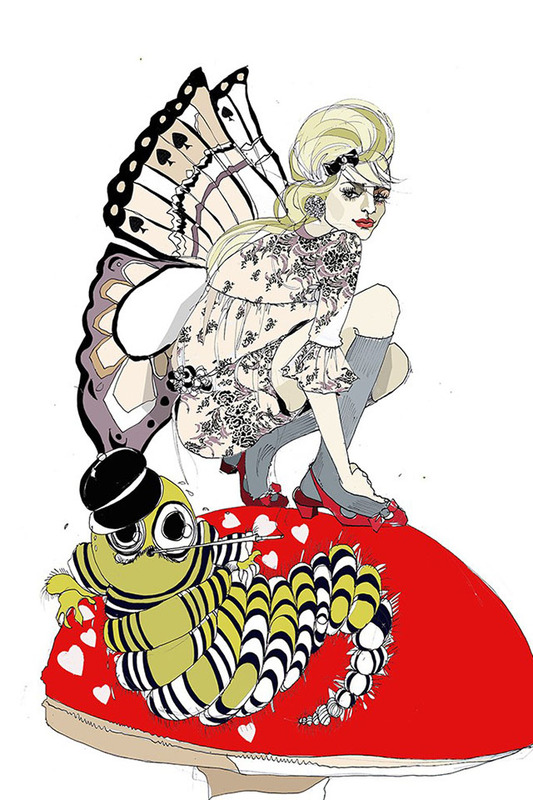 Join Alice and her Queen of Hearts in a Bethnal Green Wonderland In celebration of 150 years of this enchanting book, there are a range of Alice in Wonderland events happening around town this Spring. You can choose from free drop in daily events at our favourite museum The Museum of Childhood in Bethnal Green, such as Storytelling at 10,30.11,15 and 12pm, or Mad Hatter’s Hat Making 10.30, 11.45, 14.00, 15.15 or join artist Miriam Baez to create a bonkers hat inspired by wonderful images and imaginings from Alice’s world£5 (with parent or carer / Sign up on the day / For ages 5-12. Not forgetting the Playing Card Print Workshop at 11.15, 12.30, 14.30, 15.45.The Alice Look will run from May 2 – November 1 2015 at London’s V&A Museum of Childhood There is also the show ‘Adventures in Wonderland’ in the Waterloo Vaults SE1 7NN (runs until August) for ages 5-11 . Les Petits invites the audience to find Alice and Wander through Wonderland in a fun-filled, interactive adventure for all the family.Cost: Adults £18.50, Children £12.50. If you’re still hungry for tea and cake after that lot, look out for the family opera Alice’s Adventures in Wonderland in Holland Park from 16th July – 1st August and then Damon Albarn’s Wonder.land musical for the National Theatre, in Manchester 29th – 12 July which moves to London from 27th November 2015. 3. 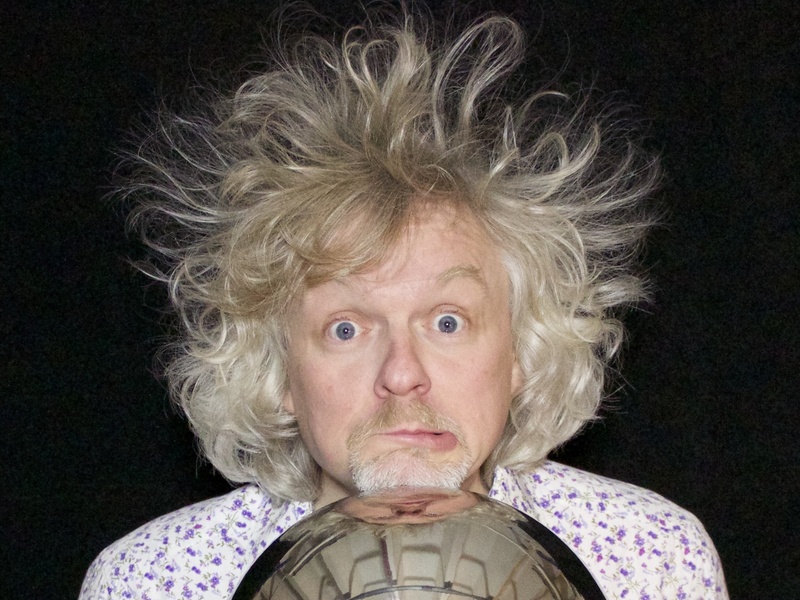 Put the Spark back into Electricity at the Royal Institution Join Marty Jopson at the RI’s June family event Zap, crackle and pop! Marty is the BBC One Show’s resident scientist and during the show he takes a journey through the story of electricity . From the Ancient Greeks through to Faraday’s genius, the show aims to put the spark back into electricity. A show chock full of demonstrations and a plucked chicken. Expect an electrifying performance in this family-friendly show. Thursday 18 June, (18:00 –19:15) Booking essential : Prices; Standard £12/ Concession £8/ Associate Members £6. Check online for more events running over half term too. 4. All Aboard the Cutty Sark Museum As far as days out in London go, heading to Greenwich has to be high on the list. It’s easy to get to by public transport (Jubilee line, boat or DLR) there’s the food market which is real tasty, and then you can choose from the Cutty Sark, Royal Observatory, National Maritime Museum, Greenwich Theatre, The Queens House, or just grab an ice-cream in Greenwich Park. To get you started why not start at the Cutty Sark. You can choose from free half-term events, and join them on a voyage of discovery on Cutty the world’s last surviving tea clipper. If you love hands-on activities, come and design your own weather mobile to take home or create a colourful fish on a dish. 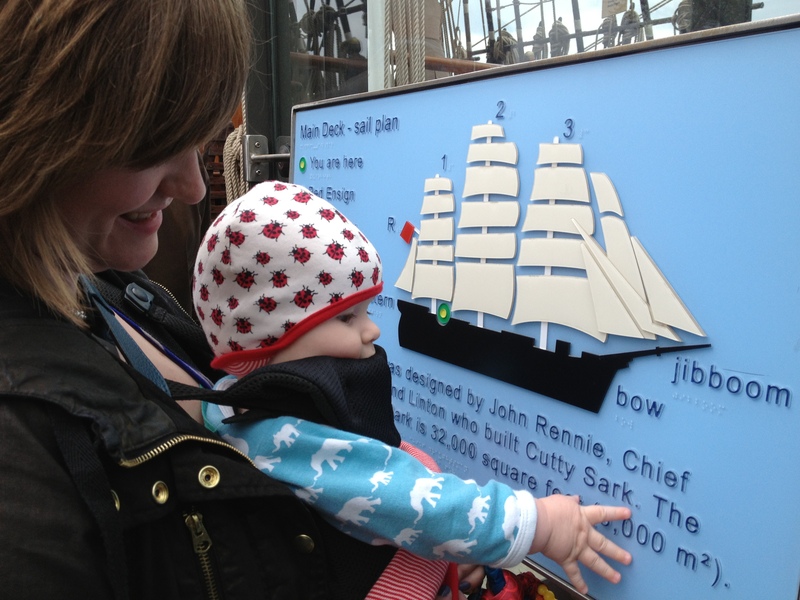 Under-5s go free to Cutty Sark and parts of the Royal Observatory. Entry to the National Maritime Museum and Queen’s House is free. This Bank Holiday weekend only you can join The Big Swing Dance On the Gardens & Vintage Market in Cutty Sark Gardens. It runs from May 23rd-25th from 11am – 6pm every day. Featuring swing dance lessons conducted by The London Swing Dance Society and The Shag Pile dance team. (Shag Pile Lessons from Sat 23rd 12-2.30pm/Sun 24th 12-5pm/Mon 25th 12-2pm) who will be bringing their exuberance and passion for all things swing to the gardens with a heavy emphasis on fun and good times to get everyone going! If you’re a pizza lover, you can’t go wrong with a visit to our favourite double decker pizza bus The Crust Conductor. They serve bespoke wood fire pizza, which really are made with cheesy love. If you want an extra helping of mushrooms, just mention the Creative Bus Stop, and ask for Jonny (the boss) and you will get treated like pizza royalty. 6. The Southbank Loves You! As hard as I try, it’s almost impossible not to share the love from the constantly changing line up of events that our Southbank Centre puts on for us all. I recommend you arrive by foot (and scooter for the tiny tired legs) and either plant yourself near the Southbank Centre which is full of free tap water at the bar, and clean loos for the kids. You can eat at one of the many chains (Wagamama, Eat, Giraffe, Canteen or Yo Sushi) but the queues are often long. To avoid the queues and a hefty bill, we always pack a few bagels and water for the kids, and venture to the food stalls at the Southbank Centre Market situated behind the Southbank Centre (Waterloo Station side). It is the most adventurous way to eat. Shows As it would be shy of me not to tell, here is the round up of Summer events you will find at your finger tips around the Bank of the South. Family Shows from critically-acclaimed theatre pop-up, Roundabout by Paines Plough, between the Queen Elizabeth Hall and Waterloo Bridge. Free events such as social dances, talks, workshops, and daily artistic activities. The iconic upside-down purple cow, the Udderbelly Festival (until 19 July) showing comedy, circus and family shows including the return of the popular show Bromance (24 June – 19 July). And (deep breath) London Wonderground (until 27 September) the festival renowned for showcasing the best circus and cabaret from across the world in a magnificent 1920s Spiegeltent. A major exhibition Carsten Höller: Decision, which will present a wide range of the artist’s work, including sculptures, installations and videos, which explore perception and decision making. The Poetry International Festival (23 – 26 July), the biennial festival co-founded by Ted Hughes in 1967. Meltdown (17 – 30 August), whose director this year is the multi-award-winning musician David Byrne, known for his eclectic collaborations and as a co-founder of the seminal new-wave band Talking Heads. Eat Bleeker St. Burger, recently rated the top 10 street food stalls in London, ) serving burgers, American Craft beer and milk-shakes, the return of SNOG frozen yoghurt sold from a restored pink 1967 Routemaster bus, Look Mum No Hands! 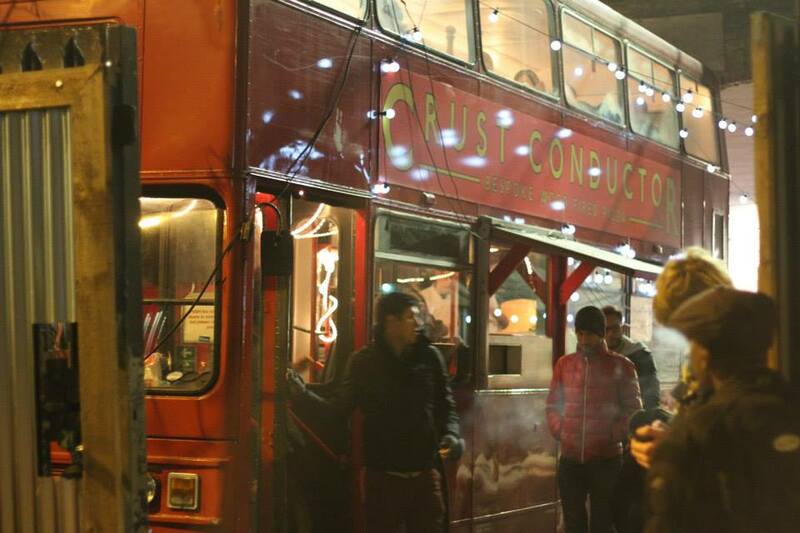 serving coffee, fresh food and British Craft beer, and Bloody Oyster, serving oysters, Bloody Marys and cocktails from the top of a double-decker bus (situated between the Royal Festival Hall and Festival Village). Play You can’t really make a visit to London without getting your t-shirt very wet (towel essential trust me) and running through the popular fountain right outside the Queen Elizabeth Hall Jeppe Hein’s Appearing Rooms. 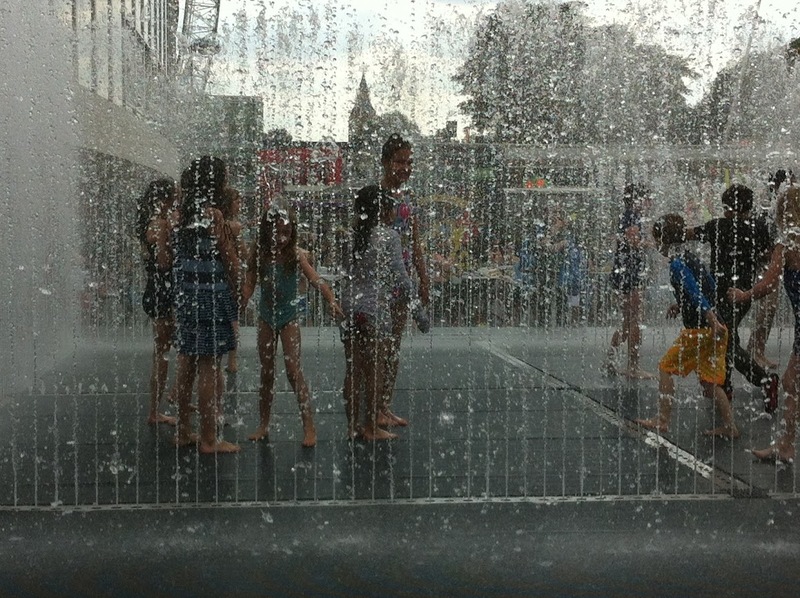 Take a walk up the curly staircase to the Queen Elizabeth Hall Roof Garden, or bring your bucket and spade to the urban beach beside the river, it’s an institution, and all the kids just adore it. 7. Get Dirty Down at Fulham Palace Have you ever been to Fulham Palace, you know the one which from around 700, (when the site was acquired by Bishop Waldhere), it served as a Bishop’s residence for over 12 centuries? I know you also knew that since Tudor times, the Palace was the Bishop of London’s country home, providing the Bishop and his family with a healthy rural retreat in summer months. Well these days they not only look after the odd Bishop passing through West London, they also host lots of family events. On Bank holiday Monday (25 May between 1-4pm) you can join the Young Archaelogists Club (YAC) for a free drop in event (Ages 8+). 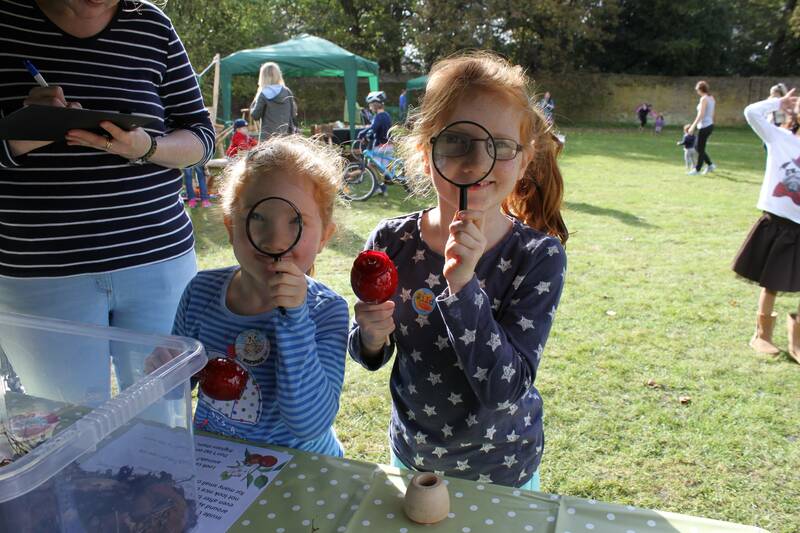 Get your hands dirty and join the enthusiastic archaeologist volunteers on the Main Lawn for a hands-on session, introducing you to the world beneath your feet. There is also the Fulham Palace Fun Day, which is a free event on Wednesday 27 May, (10am-12pm and 1pm-3p). It will be a day of family fun including crafts, storytelling and dressing up! In partnership with H&F ALSS. Looking forward don’t forget the annual Edwardian Garden Party on Sunday 21 June (1pm-4pm). The Bishops of London were well known for holding garden parties at Fulham Palace. Help them celebrate this tradition and come along for a day of family fun around the gardens. Take a turn on the swing boats, have your face painted, dance along to ragtime music and take part in some garden games and craft activities. 8. Join the Wild Network and Be A Wild Thing Project Wild Thing and The Wild Network is a people powered movement. The mission is simple to ‘reconnect kids with nature’. It was born from the concern of a Dad called David Bond who became worried that his own kids’ waking hours are dominated by a cacophony of marketing, and a screen dependence threatening to turn them into glassy-eyed zombies. He was so worried he decided to create a campaign ‘Project Wild Thing’ and appointed himself Marketing Director for Nature. Like any self-respecting salesman, he enlisted the help of a number of bemused professionals, and began selling Nature to British families. The film charts his humorous journey unearths some painful truths about modern family life. His product is free, plentiful and has proven benefits – but is Nature past its sell-by date? Watch the film, arrange a screening or even request a date for a Q&A with one of the Wild Thing team, who knows you could start a revolution in your own backyard, and all it would take is a launch party with a picnic in your local park. Their website and App’s (for iOS/Andriod) give you hundreds of ideas of ways to have fun with nature. Or, you can download a free voucher on their site which promises that you spend time playing outside together (cute idea to put in a birthday card). 9. Kiss A Hedgehoge in Hyde Park This half term (and on other dates during the year) the award winning building that is the Isis Education Centre, bang in the middle of Hyde Park (to the north of the Serpentine) are hosting two FREE Discovery Days dedicated to our much loved ‘Hedgehog Heroes‘. 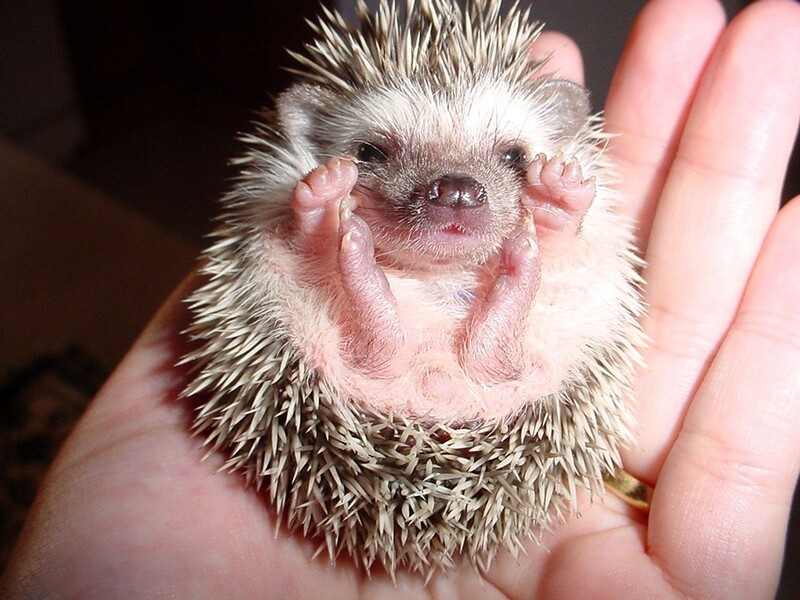 You can drop in any time between 11am and 3pm (on 27 & 28 May 2015) for a day of hedgehog themed activities including: Crafting a hedgehog from a paper plate, Paint or colour your own hedgehog picture, Learn to use radio tracking equipment (over 8s only), Help create a huge handprint hedgehog, Follow the Discovery Trail, to uncover prickly facts, Make a clay hedgehog and its very own habitat (for a suggested £2 donation) and finally learn and discover what you can do to help hedgehogs in your garden. They also have an education day ‘Nature Explorers: Hedges & Hedgerows’ on Tuesday 26 May 2015: 10am – 3pm which is suitable for 8 to 11 year olds (15). Drop off at the Isis Education Centre for a fun filled (and educational!) day of outdoor games and activities this half term. Booking essential. 10. Theatre Tours and Puppet Theatre for your Little Angels Please tell me you have been to The Little Angel Theatre in Islington? Not to be confused with the famous Little Angel pub in Henley On Thames! This Theatre is an institution in every way. Let me share a little of it’s history. 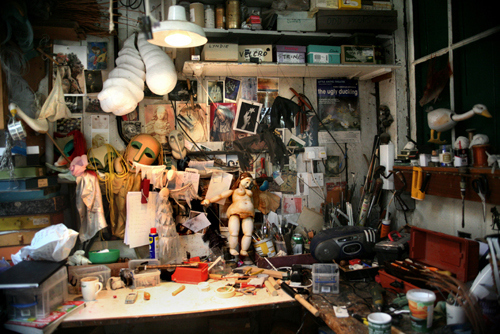 In 1961 a troupe of enthusiastic puppeteers under the leadership of South African master, John Wright (Edgar Wright the film directors Dad), found a derelict temperance hall in Islington and transformed it into a magical little theatre, specially designed for children and for the presentation of marionette shows. It opened on Saturday 24th November 1961. Today it hosts the most charming and well performed productions, as well as puppetry courses for kids and adults, and the cutest local summer parties right outside the theatre. 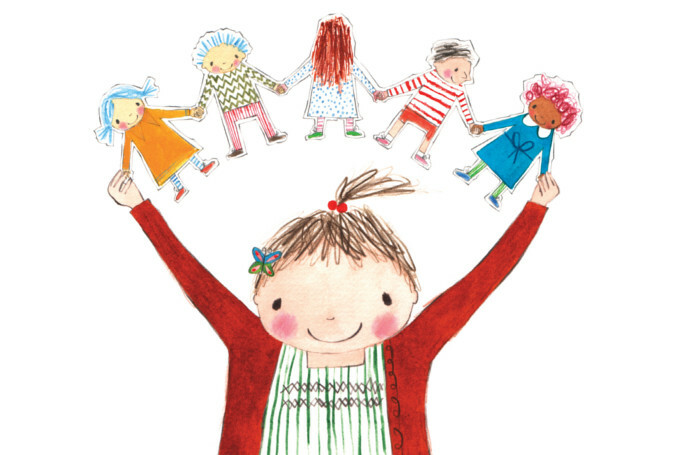 Running until 28-June is The Paper Dolls. It is a show adapted from the acclaimed book by Children’s Laureate Julia Donaldson. The magical tale is brought to life through puppetry and music in this new co-production between Little Angel Theatre and Polka Theatre. Suitable for age 3 to 7. Though worth noting is that they hold baby friendly shows, for babes under 3 (mostly Thursday 10.30, Saturday 11am and Sunday 11am check diary). Call box office for more info. £12 / £10 children and concessions £1.80 booking fee applies to all card transactions. Friday Fives: all tickets £5 for shows at 5pm on Friday . I also promised you Theatre Tours, in the title … take a look at this post from a few weeks back of all the best Backstage Theatre Tours in town, as well as this one of all the besets Kids Theatre this Year. Sent from my iPhone : sorry for the weird spelling auto-corrections.